One of the best known online dating sites, eharmony.com has some new competition, but still is highly rated and is a favorite for Christians. If you are a Christian, single, and looking for a like-minded mate, Eharmony is the premier online dating site to meet other compatible singles who are Christian in an easy, affordable way from the comfort of your home. Most reviews on e harmony give it a four- or five-star rating. This e harmony reviews rating is no exception, giving it a 4.5 out of five. The Eharmony website’s user interface is not complicated because there are no profiles to create like other dating sites. So, anyone can navigate it easily to find the features. However registration and filling out the lengthy questionnaire takes a considerable amount of time. So don’t think you can do it in a few minutes during your lunch hour. Everyone who registers will be given compatible matches based on a scientific algorithm. Then Members can communicate with each other through email, chat rooms, and instant messaging and find out if they truly are compatible. Unlike other run-of-the-mill dating sites, at eHarmony.com you don’t have to spend hours searching the other members trying to find a match. Instead, eHarmony does the matching for you, using their own compatibility system based on numerous scientific studies about love, relationships and compatibility. For some people, who have a lot of faith in science, this is an advantage, but for others, who trust more in their own intuition, this can be a disadvantage. Eharmony.com is not a breeze to sign up for, as there are more than 400 questions. But the results are amazing; the personality printout you get, whether or not you pay for the service, is most definitely worth the time and trouble. Not only does it tell you what you have to offer in a relationship, but it also tells you the kind of person you’d be the most compatible with. What makes eHarmony.com unique from most other dating sites is its premise: scientific matching system rather than self-matching. Its newest algorithm matches couples by focusing on six factors: Level of agreeableness, Preference for closeness with a partner, Degree of sexual and romantic passion, Level of extroversion and openness to new experience, How important spirituality is, and How optimistic and happy each one is. The more similarly that two people score in these factors, the better their chances, based on several studies at eHarmony Labs. One study, which tracked more than 400 married couples matched by eHarmony, found that scores from their initial questionnaires correlated with a couple’s satisfaction with their relationship four years later. Many users complain that eHarmony never has any matches for them initially, but if you wait a while, you will start getting matches. You’ll also get emails offering you a hefty discount to use the service. When you have a few matches and would like to contact them, take advantage of the offer and sign up for a discount. Eharmony.com isn’t cheap like other dating sites with less than satisfactory results. Membership fees are the highest of all the major dating sites. One month costs $59.95, with the prices lowering dramatically at the 3, 6 and 12 month mark on a monthly basis. The least expensive plan requires a year-long sign up at a cost of $20.95 a month (but is payable in one lump sum of $251.40). Eharmony.com’s track record is incredible. The company has gathered answers from 44 million people, and says that its matches have led to more than half a million marriages since 2005. And their success stories are increasing exponentially, with an average of 90 members getting married every day. Read success stories for inspiration and perhaps you will be writing your own story. - This website’s interface is use-friendly; you don’t have to be a geek to use it. One of the reasons is that there aren’t a lot of extras you find on other sites, like a personality profile, readiness test, and compatibility test. While some may see this as a disadvantage, when compared with how confusing those extras are, it could be considered an advantage. - Finding like-minded Christians on other sites can be difficult if you have to wade through dozens of profiles to find people’s views on religion. Eharmony.com’s Twenty-nine Dimensions of Compatibility testing combined with stricter setting options for choosing how important commonalities in faith are with your matches, give it a slight edge in this department. - Another advantage of eharmony.com is the sheer number of people on the site. There are hundreds of thousands. It’s one of the biggest online dating sites with many new members added daily. - You can take advantage of a Free Three-Day Trial. - You have a FAQ to answer questions as well as email and toll-free phone support. - Big discounts available periodically that drastically reduce the cost of membership. This Eharmony.com Review has pointed out many cool features like a scientific algorithm that matches couples based on several compatibility factors, a large database of millions of singles with new members joining every day, matching according to commonalities of faith, and an easy to navigate i=user interface. Eharmony.com’s proven track record is one reason why it’s one of the most popular online dating sites on the Internet. While it may be the most expensive, you can find discounts. 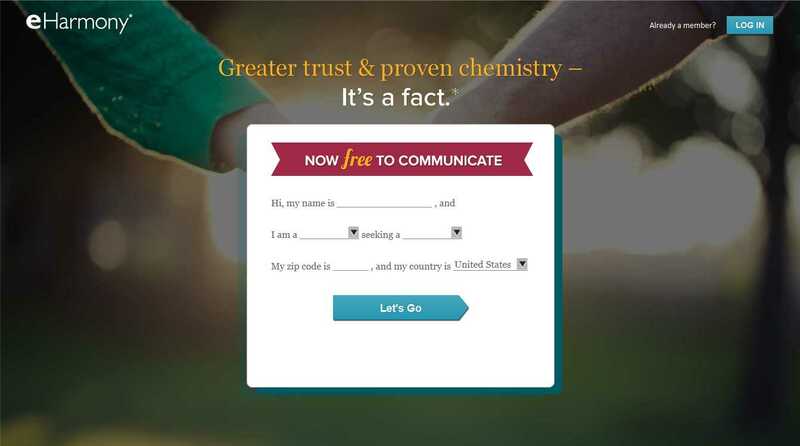 For those who don’t trust science and who would rather browse hundreds of profiles and search for a match on their own, eharmony.com may not be for them. But if you are a Christian looking for a strong Christian partner with whom you can enjoy a lasting relationship, and don’t trust your intuition or luck, then eharmony.com is for you. You can sign up for a free three-day trial, get a free personality printout, and see who’s interested in you. Then, when you’re ready and you have a discount offer, you can sign up and email or chat with possible matches and maybe find your perfect match like millions of Christian singles have already done who are now happily married thanks to eharmony.com.